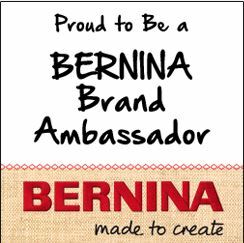 As a BERNINA ambassador, I get to take a few courses on learning all the ins and outs of my new BERNINA 350 PE sewing machine at my local Nutall’s BERNINA store. I thought I would share my thoughts, and some of the things I learned in the class. Some of this is common knowledge, but maybe someone out there will find it helpful! 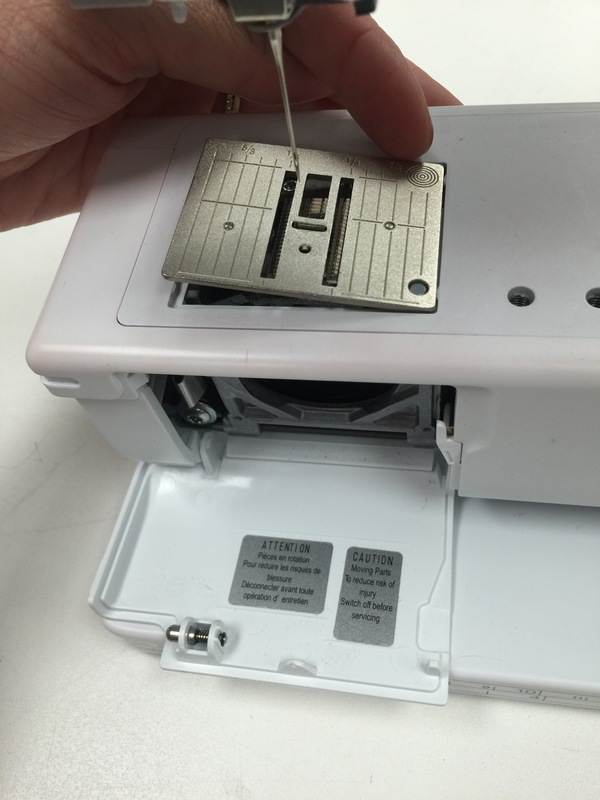 First of all, NEVER plug your BERNINA sewing machine directly into the wall. Make sure it’s plugged into a Serge Protector Power Strip. Our instructor that taught our class told us a story about how a woman’s house was struck by lightning, and it took out her sewing machine! So sad. Don’t risk it. Second of all, we were told to give our machine a birthday. This will help you remember to have your machine serviced once a year, as recommended by Nutall’s. While being serviced, your machine will be cleaned beyond where you are able to clean it, and also the software on your machine will be updated. (I am TERRIBLE at throwing away and switching out my needle, except for different projects that require a specific needle, but still I don’t throw them away). The reason WHY you need to switch out your needle after so long is that while you’re sewing, your needle tip can heat up from working so quickly, and this causes friction which in turn creates little rough ridges along the tip of your needle. So, throw out those needles ladies! Keep those stitches smooth. A PERK to owning and using a BERNINA machine is that they can use most needle sizes, 10-18. Not all brands can support a size 18 needle (typically used for leather). BERNINA is the best guys. Next, we talked about thread. I live in Utah, and it is VERY dry here. We were advised to store our thread in a sealed plastic container, in a dark space to keep our thread from drying out, and to keep it at it’s top quality. Also going along with threads, I learned threads that are manufactured in the U.S. are not as well made as threads made in Europe for example. Here in the U.S., we cannot support the growth of long strands of cotton, but instead grow short strands. The benefit to using thread made with long strands of cotton is that you don’t get the shedding of your thread all junked up inside your machine. ALL thread will shed lint, but European threads shed a whole lot less, and are also sealed for extra shedding protection. Food for thought, I guess it is worth it to invest a little in your threads. We spent a few minutes discussing thread properties and fibers. 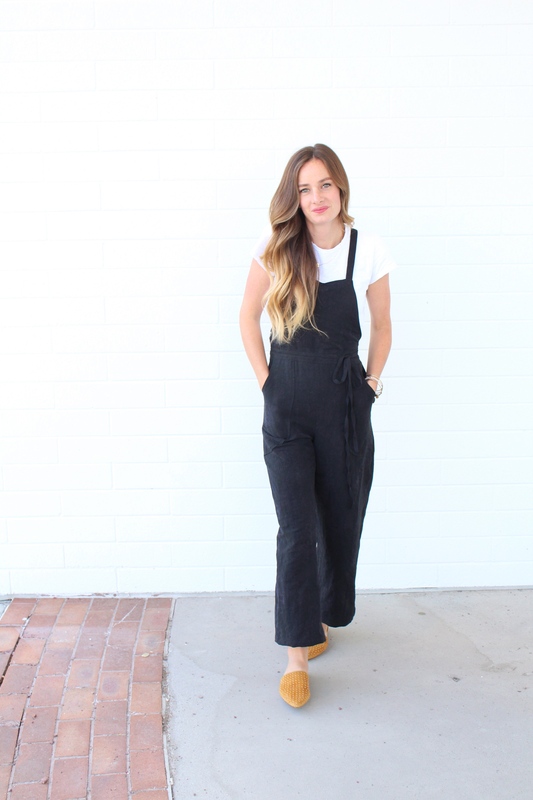 When sewing with knits or cottons, use a thread that has a polyester BLEND. If you use a thread that is 100% polyester with these fabrics, you’ll notice little holes (especially after the project is washed a few times), because the thread is stronger than the fabric. 100% polyester is great for polyester fabrics. A great brand recommended for BERNINA machines is Mettler thread. It’s a poly cotton blend. TIP: After threading your machine, if you find you need to pull the thread out and re-thread, NEVER PULL. Always cut your thread with scissors near the thread spool, and then gently pull the thread out. If you pull with out cutting, it creates lots of fiber shedding into your machine. If your machine seems to be a little off, second rule of thumb: CLEAN IT OUT. 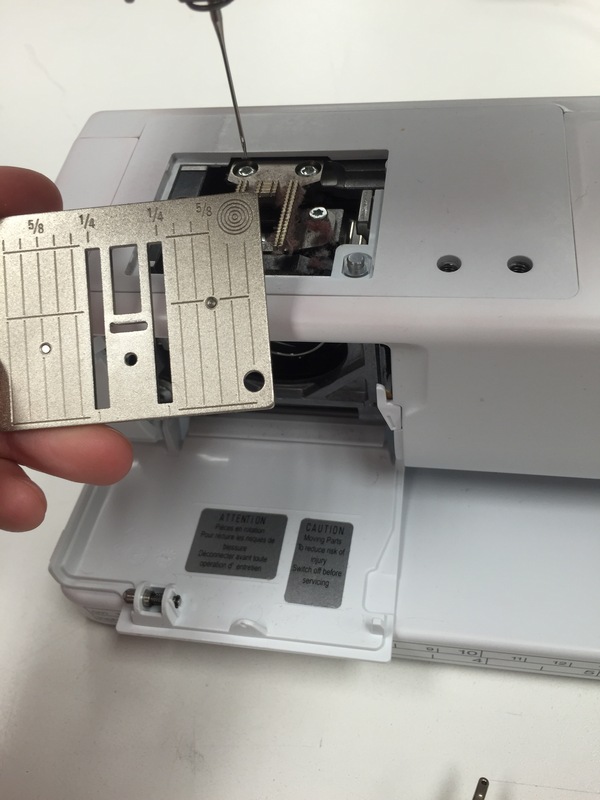 Cleaning out your BERNINA is so simple! (UNPLUG the power cord and foot pedal, and remove your foot and needle before proceeding). 1: Notice the little thumb print next to my index finger pictured below? Press down on it and your plate will pop right off. 2. See all the red lint in mine? That’s from ONE project! 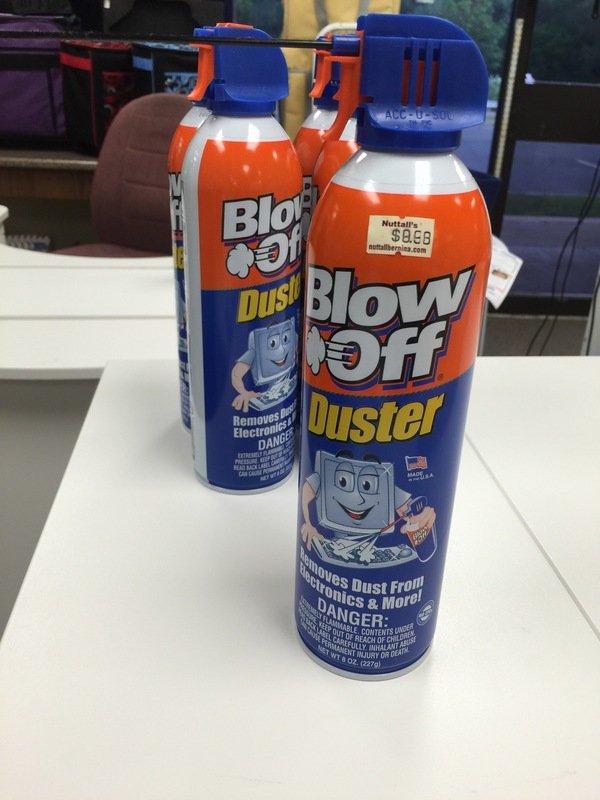 To clean it out, it was recommended to use Blow Off Duster, but make sure you spray from an angle and to the side, NEVER directly on your machine. Also, you’ll notice if you shake or spray the bottle excessively, it will feel cold to the touch. DO NOT use it at this point because you will add moisture to the insides of your machine. Wait for the bottle to become room temperature again before further use. It takes two seconds to blow the lint out, so you shouldn’t have this problem. It was recommended to do this whenever you want, a good rule of thumb being every two-three projects, depending on how big they are of course. You’ll find a flat edge along the backside. This is where metal hits metal. This is where you need to oil your machine. Just simply add one drop of oil to this flat edge, and rub it in gently across the whole flat edge. That’s it! 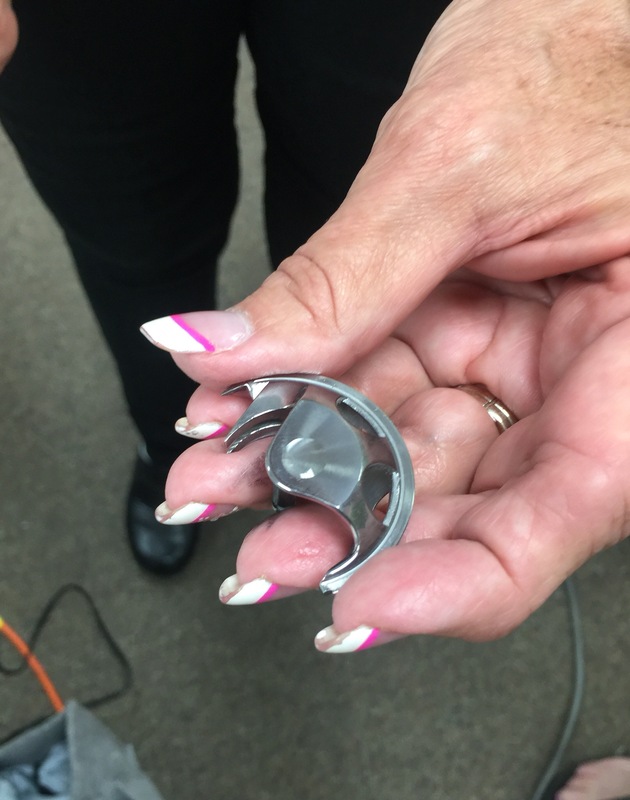 Pop it back into place, raise the black circle back in place and pop in. You’ll know everything is in properly if the metal circle where you insert your bobbin case spins when you twist your hand wheel. It was recommended to oil as often as you would like, again about every 2-3 projects. Your machine will come with oil, and you can also purchase it online or in your local Nutall’s BERNINA store. I hope this is helpful to you! 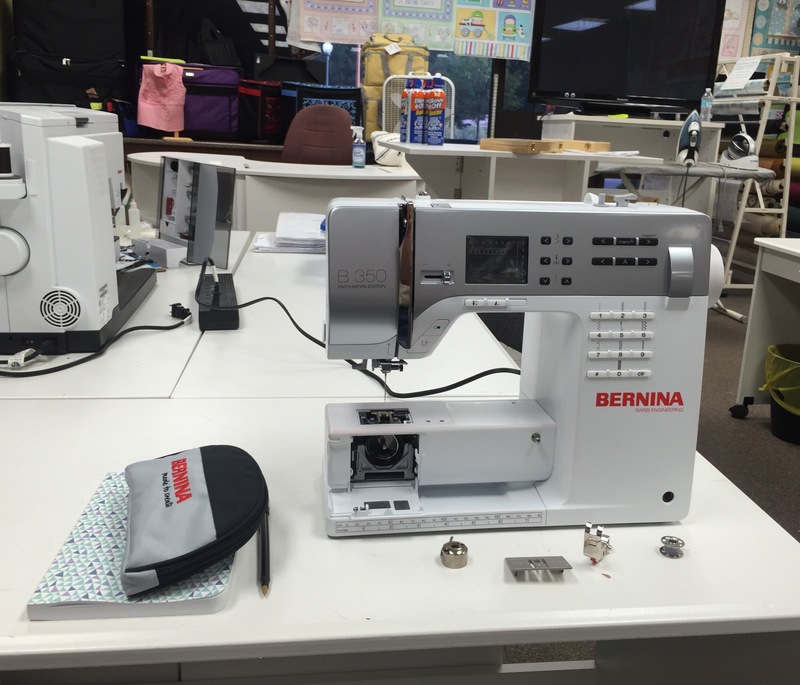 I really enjoyed learning a little more about my BERNINA 350 PE sewing machine. I’ll share more with you next week after my next class!